Outside Lands is in a few days and I’m looking forward to photographing its performers and festival shenanigans (August 8-10 at Golden Gate Park in San Francisco). It was at that exact festival a few years ago – stage view obstructed by the crowd, senses intruded by wafting armpits – that I swore to myself that I would never again simply watch a live performance without my camera. The outcome of that self-fulfilling prophecy was wonderfully ironic … my press/photo pass does indeed now plop me in the front of fronts, only now I jostle with linemen-size photographers … also with active armpits. Close to the sound? You betcha. But only for the tantalizing first 3 songs (unless you’re buds with the stage manager) and then you’re herded out of the pit to the back of the sea of crowds. Wash and rinse about 15 times a day. 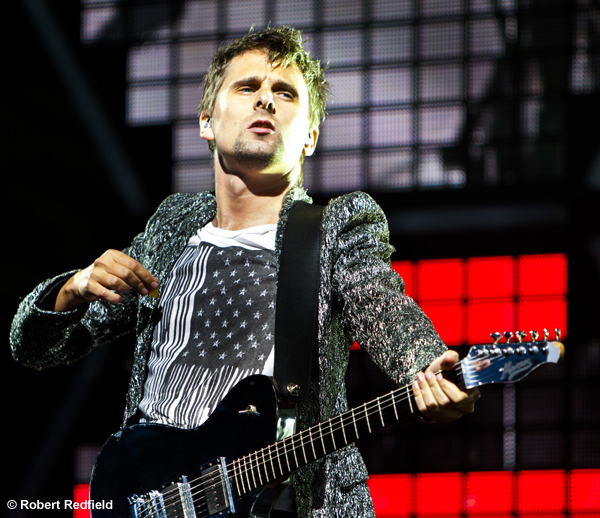 Matthew Bellamy, frontman for Muse at Outside Lands 2011. 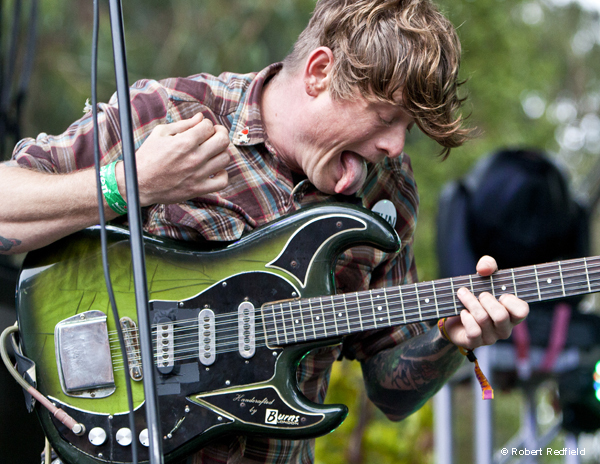 John Dwyer of Thee Oh Sees at Outside Lands 2012. 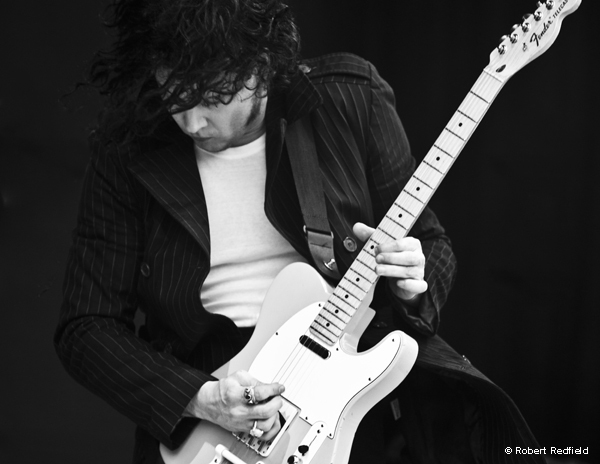 Jack White at Outside Lands 2012. Fitz and the Tantrums at Outside Lands. At times, I’m able to prearrange a 5-min band portrait for promotional purposes. Finding a visually appealing (or at least neutral) spot backstage, posing the distracted band in an interesting way and lighting it with minimal gear at hand … ah that is the challenge. Does the resulting image tell a (brief) story about the artist(s) … yes? Success! STRFKR at Outside Lands 2012. Reggie Watts at Outside Lands 2011. Zola Jesus at Outside Lands. But wait … there’s more! The technicolor ecosystem of the festival itself – a show in itself rivaling a busy New Delhi intersection! Might not match the epic proportions of a Woodstock, but the Outside Lands organism is one strange and colorful and wonderful animal. Outside Lands creature, last spotted in 2012.